Credits cards are a convenient way to spend money that offers purchase flexibility and special offerings to cardholders who sign up. Each card offers something different, but most of the time it’s centred around ways to spend more. So, before you get your next credit card, here are 5 things you should ask yourself. It is enticing when credit card companies offer 250,000 bonus miles when you sign up or 0% interest the first year you use the card —but the important question is whether this card is a necessity for you. Think about the benefits — does it align with your lifestyle? Do you have enough money saved to pay for the card? For example, if you are an avid traveller and spend a lot of your finances roaming around the world, then a credit card with air miles offerings may be the perfect solution for you. But if you don’t travel, then that card may not necessarily be what you’re looking for. It is important to weigh the pros and cons in every situation before claiming a new card for your own. What are the fees associated with this card? Interest rate: the amount you’ll have to pay if you don’t pay off your balance by the due date. This is an important fee to consider because, if not careful, you could round yourself up in debt. Late payment fees: This is also important to note to see what the penalty charges are for late follow-up with your bill. Is the minimum spend attainable? Every card gives owners a minimum spend to attain miles and other perks. The rule of thumb is around $2,000 – $4,000 for the first three months. This is where you’ll have to analyze your financial situation. Can you attain that minimum spend? That should be how you compare which cards you should have, and which cards you shouldn’t. If you can’t reach that minimum spend financially, then the card is not right for you. Before applying for the card, you should check your credit history to determine whether the card is right for you. Whenever you register for a card, your credit history is looked over before the approval process. This is the way credit companies determine whether you can make payments on time. When was the last time you applied for a credit card? Before applying for your next card, ask yourself when was the last time you applied for a new credit card. 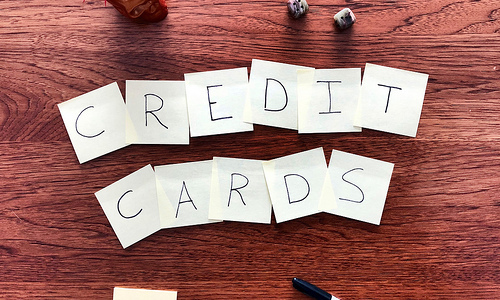 If it was less than a year ago, hold off and not apply for one as having so many credits cards in that amount of time is high-risk for debt.Credit cards are appealing, but not without its shortcomings. Nevertheless, credit cards provided risks that, if not handled right, can leave you in debt in no time. So, consider your options and questions first before you dive in.